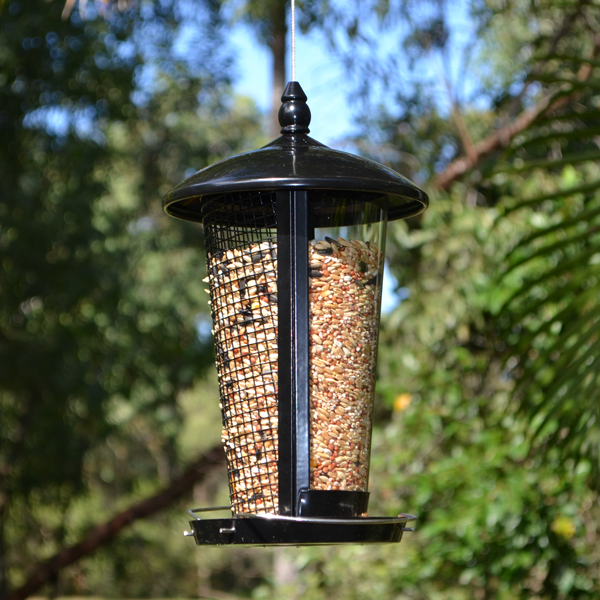 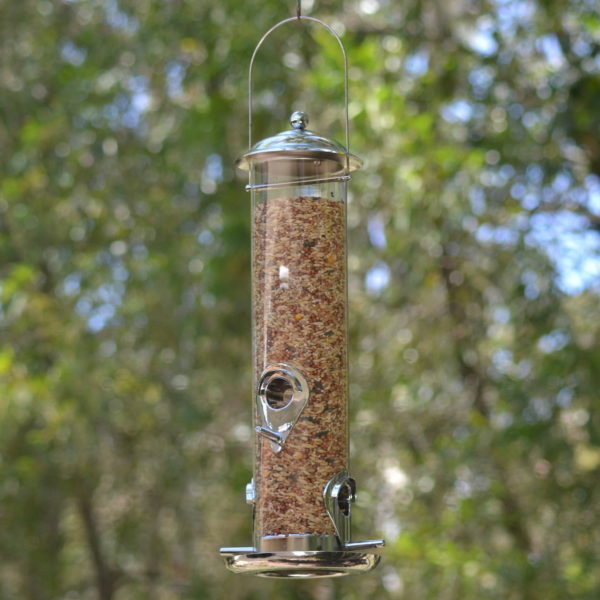 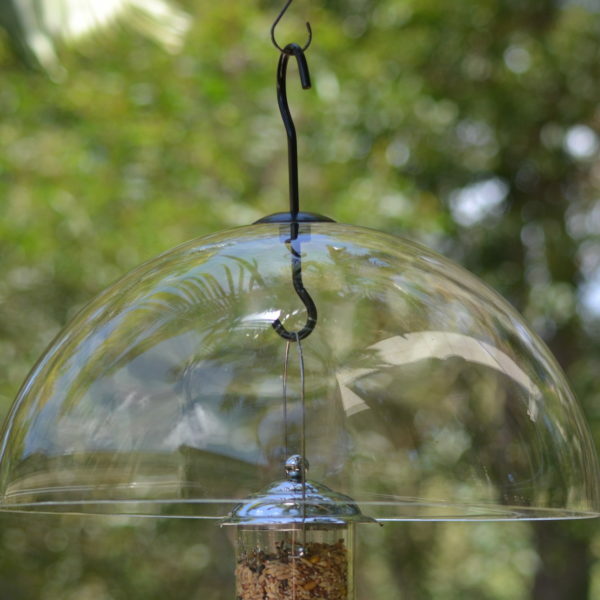 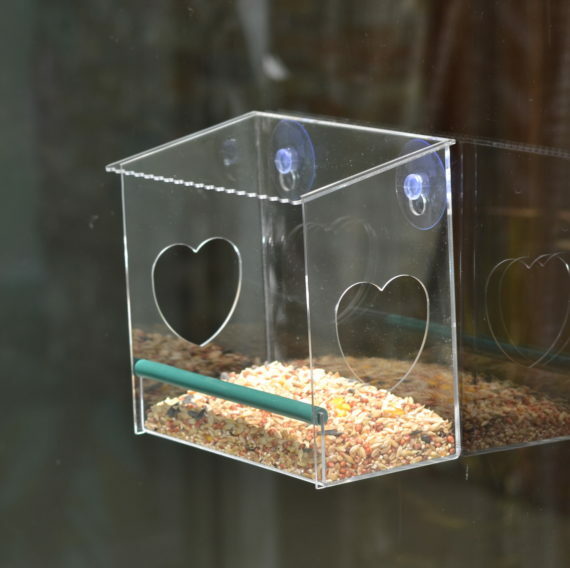 See your backyard birds up close with the Kiosk Heart Window Feeder. 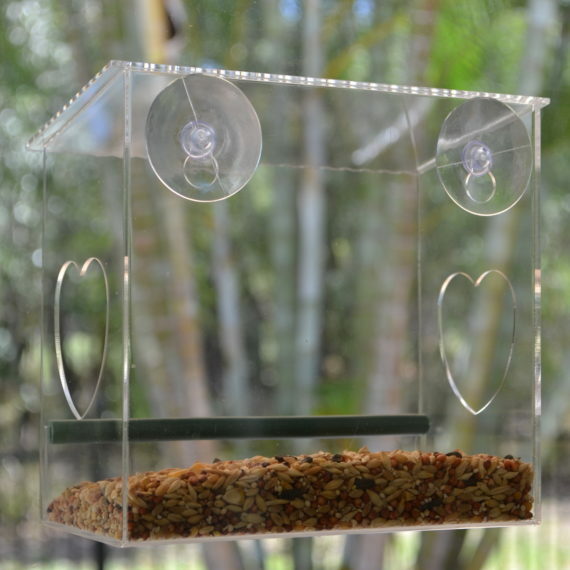 A classic window feeder style, designed for small to medium sized birds and suitable for any seed, nut or fruit variety, you can attract a range of bird species right up to your window. 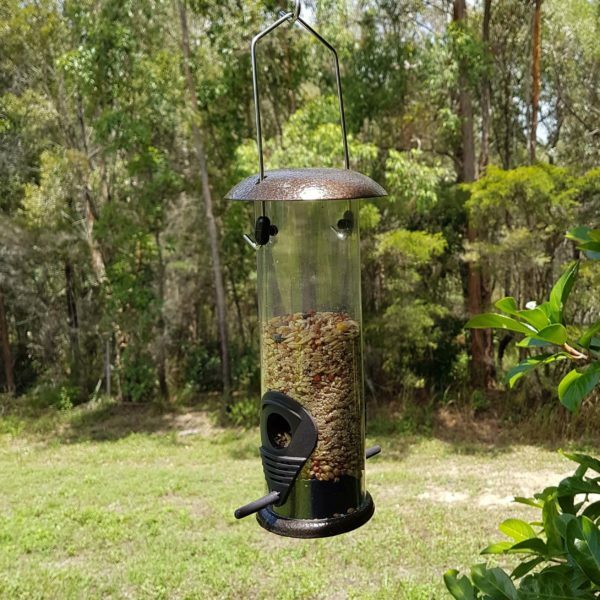 Water can also be offered in this feeder. 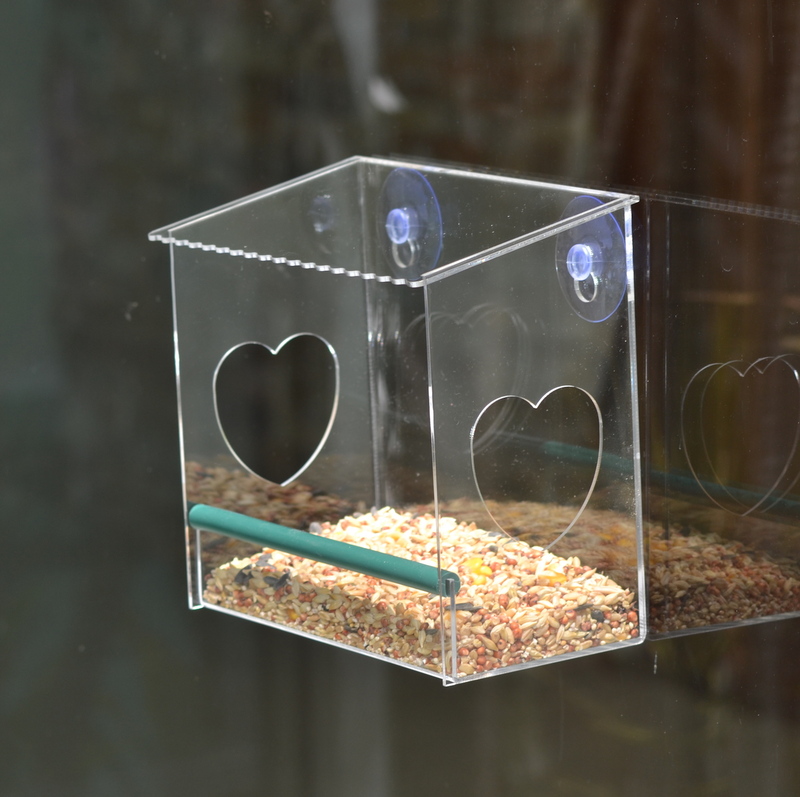 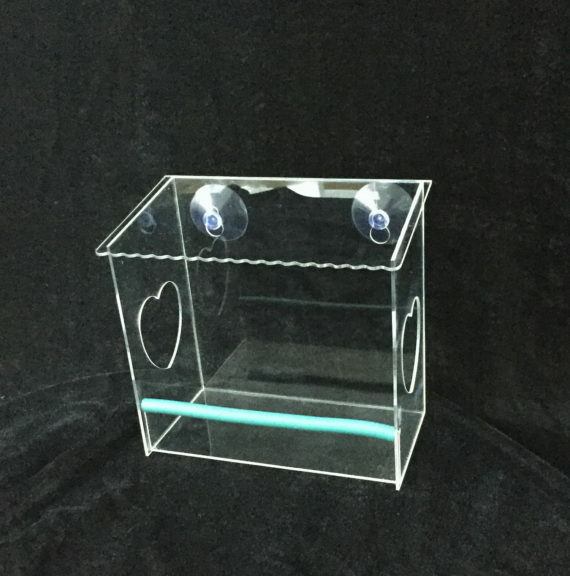 The feeder measures 18cm x 10cm x 17cm and includes 2 strong suction cups.